Fake Bake Flawless Self-Tan Liquid combines ease of application with intense professional colour development. Flawless is applied with a professional mitt (INCLUDED) in effortless gliding strokes for a perfectly even tan. The dual function cosmetic bronzer assists in making the application even easier (shows-where-it-goes) whilst providing an instant golden tan. The fast drying, fast absorbing formula is transfer resistant, so can be worn throughout the day. 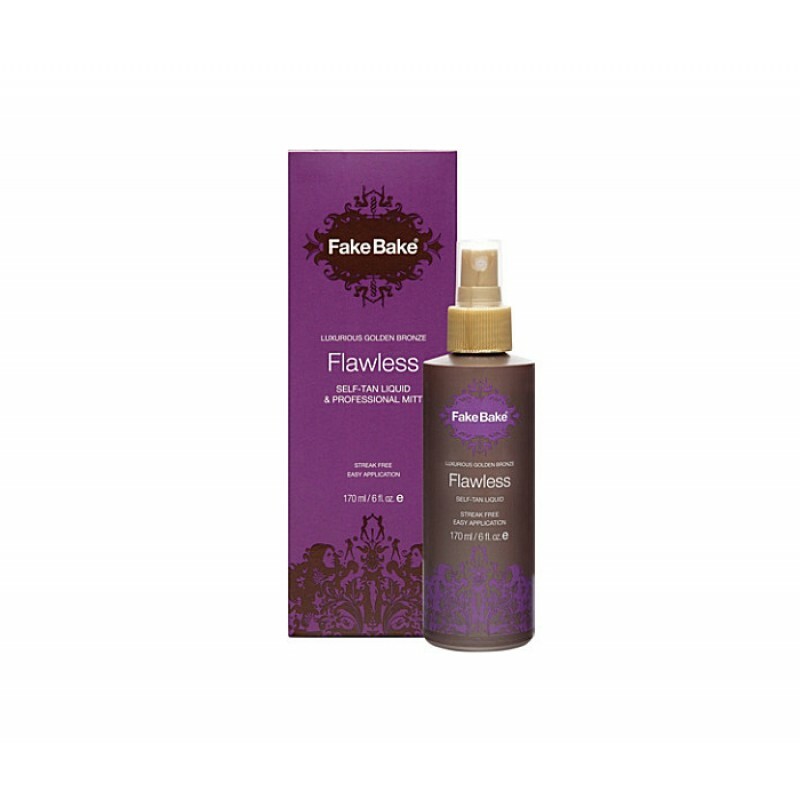 Formulated with Fake Bake’s exclusive triple tan formula (DHA boosted by DMI & Erythulose) for an intense tan that lasts longer. Suitable for all skin tones and skin types. Pleasantly fragranced with a tropical scent. No artificial preservatives or Parabens. FREE DELIVERY! Review "Flawless Self Tan Liquid"